Proud and long-time supporters of Denton's local music scene, we keep a large section stocked with current and past releases by local artists. From Brave Combo, Midlake, and Sarah Jaffe, to Shiny Around the Edges, the BoomBachs, and Hares on the Mountain, to the new band you just saw for the first time at a house show last night, our Local Music section is as eclectic as our town. Many of our employees are active show-goers or local musicians themselves, so feel free to ask for a recommendation or to sample an album at our listening station. 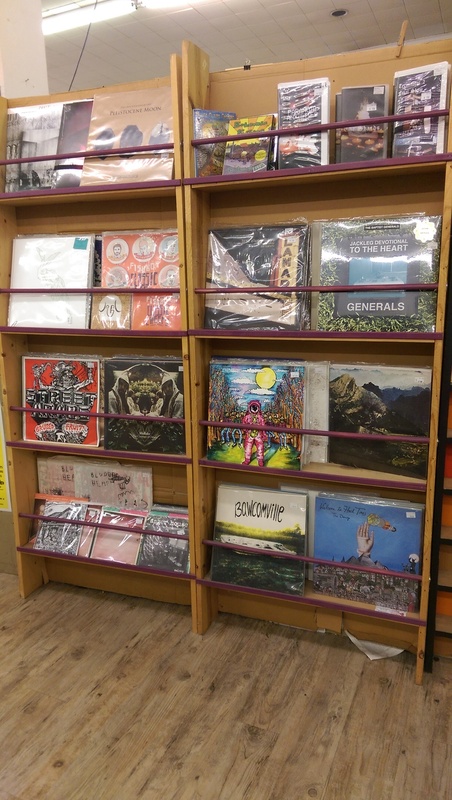 If you're a local musician and would like to sell your albums at Recycled, come in and talk to our Local Music Manager.